After your caffeine jolt, head to the new Ariel-Foundation Park. 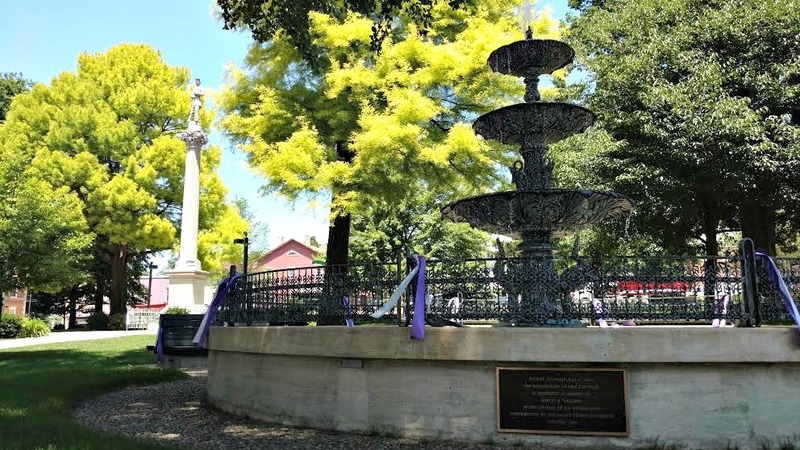 Not far from downtown, the park sits on 250 acres on the site of the former Pittsburgh Plate Glass manufacturing plant. The landscaping is not something you’re used to- pieces of metal were refurbished to make sculptures and crush glass serves as a mulch-like substitute. 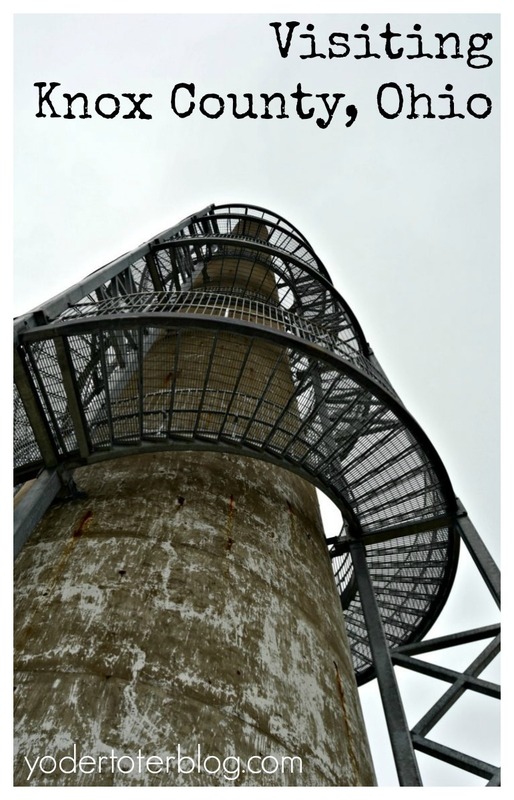 The Rastin Observation Tower is not for those afraid of heights, but 224 steps later, you’ll have a sweet view of Knox County and beyond. We’ll have to come back on a day when the weather is more cooperative! 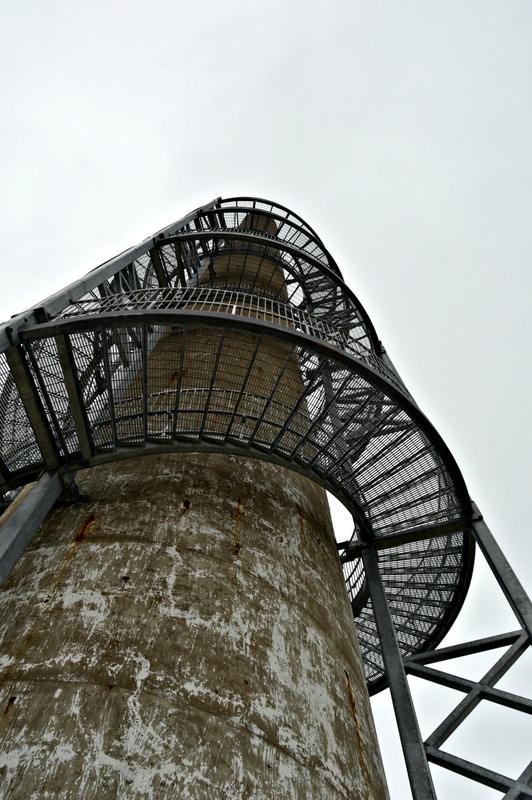 Further to the east towards Gambier, Ohio is the Brown Family Environmental Center. 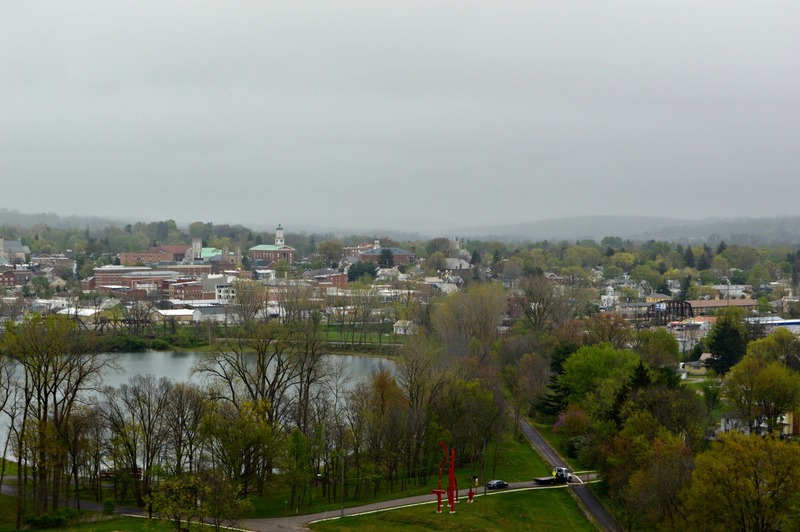 The center, run by Kenyon College, is full of educational opportunities for young and old as it includes a Butterfly garden, a 7-acre prairie, and 8 miles of hiking trails. 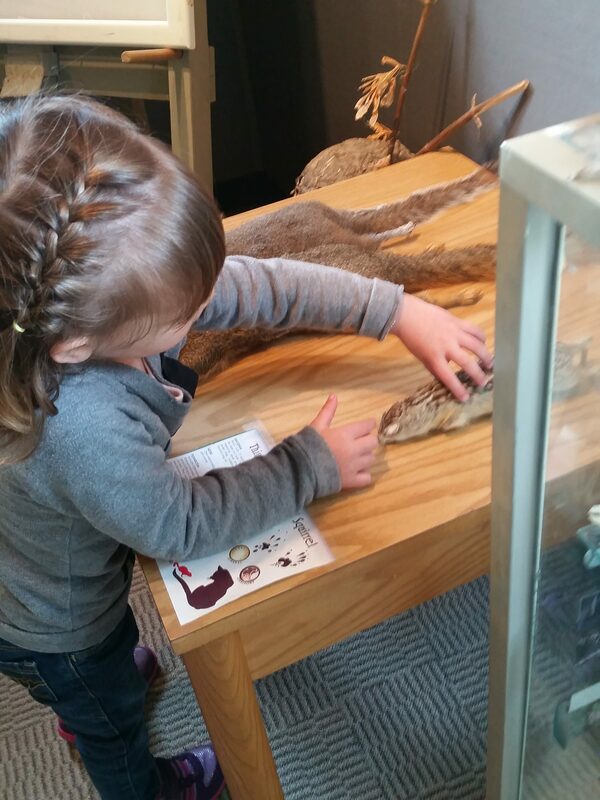 Our kids learned some new things in the nature center (and C petted a taxidermied squirrel- weird). 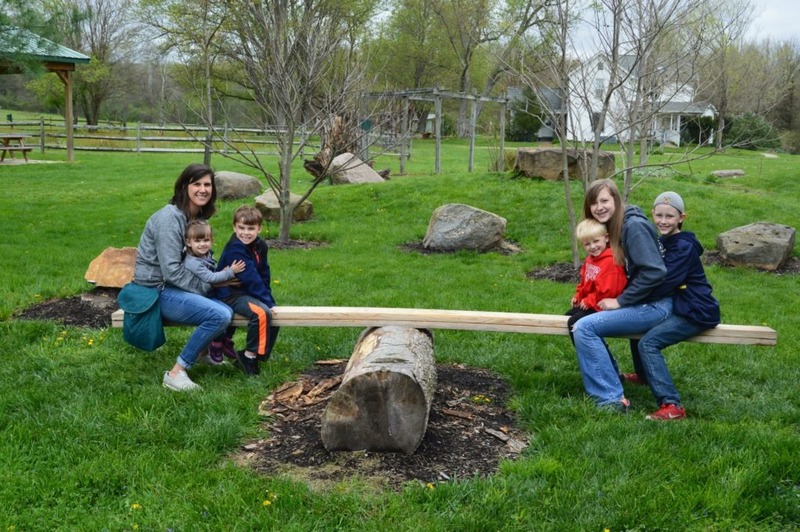 The seesaw was also a hit with my family as well as my niece and nephew. There’s something about a natural play area to bring out the little child in the biggest of kids. 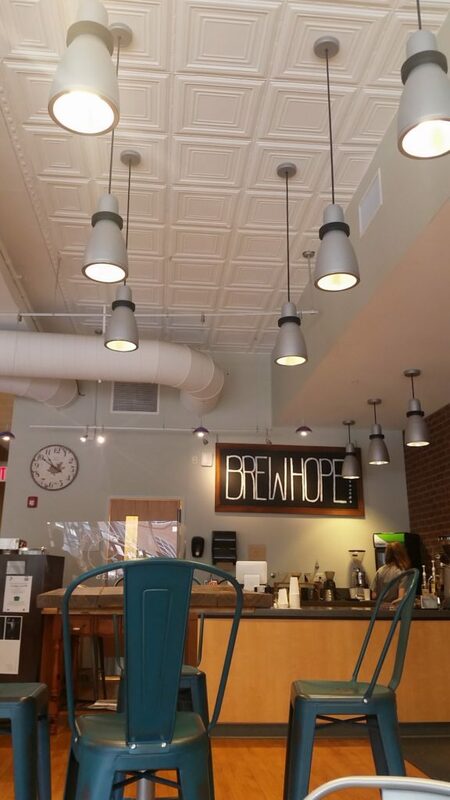 At this point, you’re just south of Kenyon College, so pop in and check out the historic campus. If the college was good enough for U.S. President Rutherford B. Hayes and actor Paul Newman, it’s good enough for us lowly folk. Ha! Continue even further east (Take 229 to SR 62 E) and head towards the small (and I mean, small) town of Millwood. 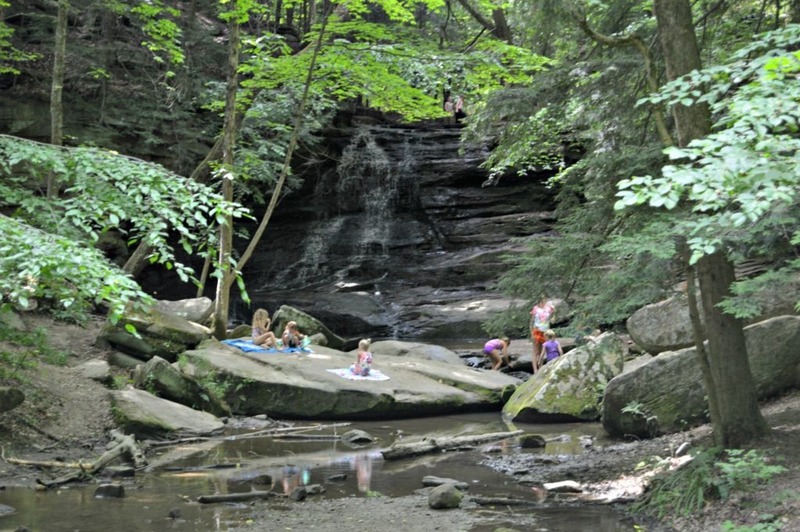 Lying southeast of Millwood is a gem in the woods-Honey Run Waterfall. The only waterfall of its kind in Knox County, and managed by the Knox County Park District, there is a hiking trail here and also access to the falls from the Kokosing River (I tried to convince the hubs this is another reason we need a kayak, but NO GO). 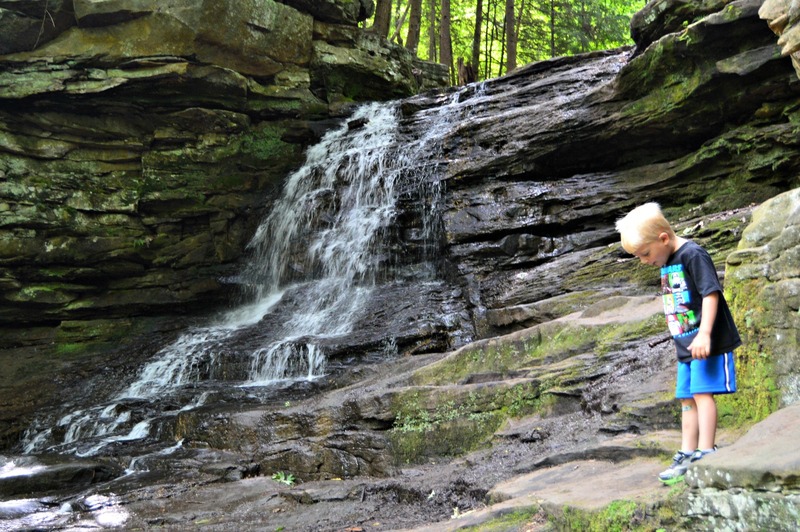 The rocks can be slippery, make sure the kiddos have proper footwear. Our tennis shoes worked just fine, but swim-type shoes would be best. The water is cold, but in the heat of summer, this is a great place to cool off. After all of that climbing, hiking, swimming, and learning- you’ll be ready to head back to Mt Vernon for a little pampering. 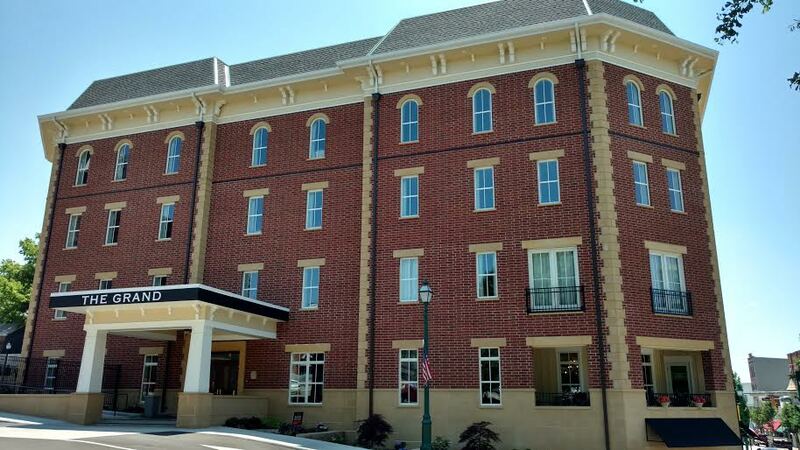 I spent one night at the Mount Vernon Grand Hotel and it was surprisingly luxurious for small-town Ohio. Tiled showers, pillowtop beds, and in-room Keurig coffeemakers make you feel like you’re in a big city boutique. Mr. YT gave me a night away for Mother’s Day (good job!! ), so I was here sans kids, but I did see a baby and some tweens in the breakfast room. That said, my room only had a shower, so if you’re taking a baby or toddler you may want to call ahead and confirm you’ll have a tub. If you’re not taking the kids, take the hubby and request a king bed! Ahhh! Ha! We might stay here for an upcoming anniversary. Need somewhere for dinner? I dined at the Alcove Restaurant. It’s a Mount Vernon classic- they’ve been in business over 100 years! I filled up on one of the best cheeseburgers and a slice of peanut butter pie (holy calories!). The Alcove has been recently updated and the swanky interior feels worlds away from small-town Ohio. 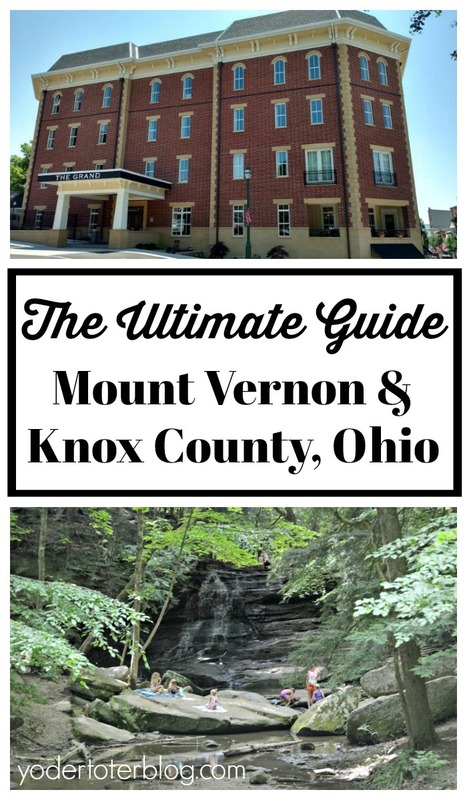 Have you been to Knox County or Mount Vernon, Ohio? What’s your favorite hiking spot or restaurant?